Review : Ofori Amponsah's Alewa is Yummy Vomit, and We Love It. Alewa is cheap local toffee which is too sweet and stains your tongue. It's a treasured relic of Ghanaian childhood in the 90s, much like 'poki' or 'asaanaa'....it is also the title of Ofori Amponsah's comeback track. The song is exceptional, an instant classic, and we're only now realising fully, how much we've missed him. The lost angel is back knocking on Satan's door, and he bears enticing gifts. There's a lot of talk about drawing blood. It's unsettling, what perfect pair that is. At least that is the sentiment of several people here. Why? Three years ago, Ofori Amponsah announced that he had had a change of heart and was leaving highlife, the sound of his relevance and what had gained him much affection from Ghanaians, to pursue gospel music. He left us with open jaws and a new jargon, 'higher love', for that, he had said, would be what his brand of gospel would be known and called. His new gospel album was going to be a demonstration. This album has yet to be released, but no yawa. He even started a church, the Family of Faith and Love Ministries at Ofankor. Indeed, it was not the first time this was happening even in Ghana and we both know it will not be the last. K.K. 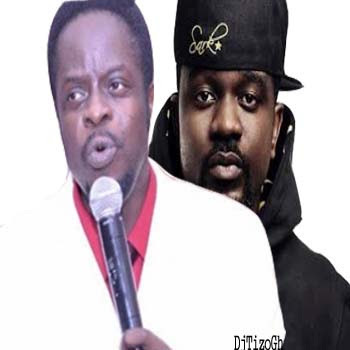 Kabobo, Papa Shee and Lord Kenya have all made somewhat smooth transitions from secular music to church matters as a result of seeing the light. But still, Mr 'All 4 Real' was leaving and it was shocking, but we are Ghanaians and so we would pull through...we always have. We have survived coup d'etats, ethnic conflict, successive underwhelming governments, corruption scandals, 'dumsor' and load shedding. There's a difference, Dr. Kwabena Donkor, will have you know. He's the power minister after all, we aren't. 'We can live with disappointment', we had said, holding hands and patting one another's back. 'We've been tested so much, it's not so bad anymore'. He has been compared to the biblical dog returning to its vomit, but walaahi, this is delicious vomit...true alewa! Remember how, as children, we constantly took the Alewa from our mouths, turning it with just thumb and finger, and smiling because it was too nice? Remember how we sucked on it in so many different ways in relish? Ahaa! The song itself begins gently. It sneaks up on you the way a woman wearing a transparent nightie over nothing but white lingerie would appear behind an unsuspecting lover. This chocolate complexioned woman is always smiling, it's one of the many things which makes her beautiful. But tonight, her smile is more than a smile. She knows what she's doing, and she knows she's got you exactly where you're supposed to be. This is the song's feel. Theres also a line where he compares this woman to food and soup. It's not that that there's anything wrong with that...only his inflection of the words. Ei Pastor that! Pastor Pastor! Can he render this exact joyful and seductive sound live on stage? Will he succeed in wowing a live audience as it is the one true test of an artist's capabilities to perform? Uhmm... I don't want to talk about it. Instrumentation on this song is a contrast to Ofori's lyrical behaviour in the song --It's hard-hitting and masculine. Kaywa, who has been responsible for the majority of the city's highlife hits now, blurs the point of blend in these two situations, and again succeeds in ensuring suitability to easy-flowing waist movement in local wax print, handkerchief in hand...or two fingers running down a sweaty torso. There's special trombone sound in corners of the song. It hits a specific vein and tendon. When you're dancing you'll know. Sarkodie is different: he's random and powerful. He says things which raise the eyebrows and neck hair. Only he too, can come up with innuendos that are so technical, mischievous and funny, that radio can identify that something troubling has been said, but can do nothing about. Not many artists can manage this. It's not all he says, but let's pause for a second. That last line right there, which loosely translates as 'let me touch you with it, so that in case your family entertains reservations, you're already pregnant', is what I mean by Sarkodie's wit with words and suggestive language and how many times he's found his way around radio. He delivers a full verse in the middle of the song where he mainly discusses a beautiful girl and the methodology and politics of love, after which Ofori Amponsah returns with one more verse which feels like it was channelled from Songs of Solomon. It's an apt collaboration. The song can take constant replay, and in that way it's brilliant. It's something comparable only to Ofori's own earlier works but it's also distinct in the kind of classiness it comes in. And when it is the song which orders your body movement and not you, you know we have a song. The Alewa man, or Pastor Alewa, if you like, has faced perpetual persecution in the wake of his return, or for it. Also, he has been accused of theft of the song...or title. I can't quite unpack the conundrum yet. This is interesting, considering that Ofori Amponsah left an impressive catalogue of highlife models before being called by God. But he's been away for three years and has opened the floodgates for misgivings and an array of 'isms', mainly scepticism and cynicism. But every time something great has been made, there has been a torrent of negative energy. But is it right, is it fair to Andy? Wouldn't I want to find out the truth or otherwise of the story? Whatever happened to the danger of a single story, for which reason I don't want to look at the other dimensions and theories regarding this song's true owner? Uhmm...I don't want to talk about it.